Kinasera offers to biotech and pharmaceutical companies and academic laboratories novel tools for research targeted to protein kinases and their inhibitors. Kinasera holds exclusive licenses for affinity carriers and fluorescent probes originating from novel bisubstrate-type protein kinase inhibitors with high affinity (Kd = 0.01 ... 3 nM) towards basophilic kinases. These inhibitors are used for elaboration of biosensors and fluorescent probes for protein kinase research and inhibitor screening, and drug development. ARC-based assay kits are intended for characterization of binding of inhibitors to protein kinases. The kits can be used for HTS of inhibitors in 384- or 1536-well microtiter plate format with fluorescence polarization (anisotropy) or time-gated luminescence detection. Resulting from bisubstrate character of ARC-type inhibitors ARC-probes can be used for characterization of inhibitors targeted to both ATP- and protein/peptide-competitive inhibitors of kinases. ARC-Photo differs from most of other available protein kinase inhibitor screening technologies as it measures the binding of the inhibitor to the kinase instead of determination of the retarding effect of the inhibitor on phosphorylation reaction. That makes the assay simpler, quicker, and cheaper. 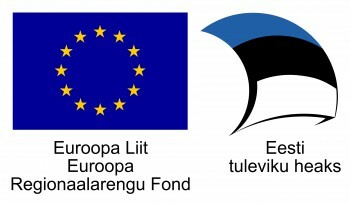 2016. aastal toetab Euroopa Liidu Regionaalarengu Fond Kinasera innovatsiooniosaku projekti EU50660 Proteiinkinaaside profiili määramine eksosoomides Western blot meetodil summas 4000 EUR. Projekti eesmärgiks on selgitada välja teatud kinaaside profiil erinevat päritolu eksosoomides. Kinasera has recieved funding for Project ProCanEx. In 2015 ProCanEx has received funding from the European Union's Horizon 2020 research and innovation programme SME-phase-1 under grant agreement No 684709.